When building a copper cabling system for office or home, one constant that seems to be always taken into consideration is plenum cable vs non-plenum cable, which one does the project actually need? Plenum and non-plenum refer to the jacket that surrounds the cable, which is defined by NEC (National Electric Code) aiming at preventing the fire spread and toxic smoke in buildings. Then, how to make a wise choice between plenum cables and non-plenum cable? This article first introduces plenum Ethernet cable and non-plenum network cable, then explains how to make a choice. 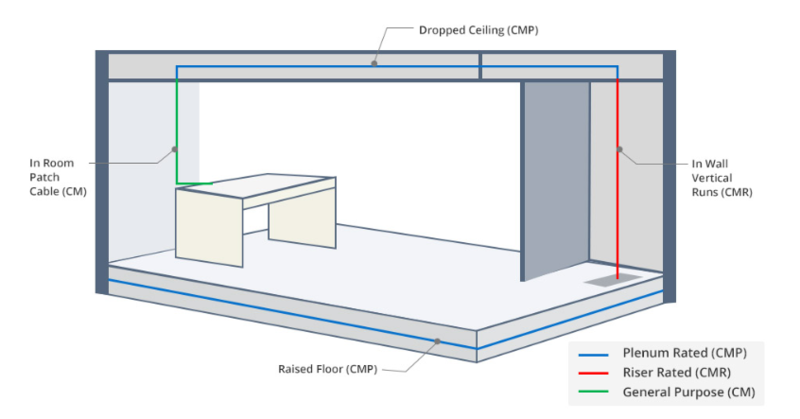 Plenum is a separate space provided for air circulation for heating, ventilation, and air-conditioning (also referred to as HVAC), which is the space between the structural ceiling and a drop-down ceiling. And it may also be under a raised floor. Plenum cable is also called CMP (Communications Multipurpose Cable, Plenum) for short, which is the cable that is laid in the plenum spaces of buildings. This cable is made from less hazardous and lower smoke materials than non-plenum cables, which is approved by UL (Underwriters’ Laboratories) for non-conduit applications located in environmental air spaces. The cable is designed to restrict flame propagation and limit the amount of smoke. Compared with the traditional PVC cable, plenum cable produces less smoke. Thus, plenum cable is suitable for installation into air plenum spaces, especially in the locations like schools and hospitals for safety concerns. Non-plenum cable usually serves to run through non-air circulating areas. Non-plenum includes riser rated cable, and other rated cables like CM cable, etc. Riser rated cable is also called CMR (Communications Multipurpose Cable, Riser) cable. It’s constructed to prevent fires from spreading floor to floor in vertical installations. The fire rating of riser cable is not as strict as the plenum cable since plenum cable uses less hazardous and lower smoke materials. This means CMR cable will exhibit more smoke than CMP cable. Thus, plenum cable can replace riser cable, but not the other way around. And the price of riser cable is less than plenum cable. Usually, the cable can be deployed to run between floors through risers or vertical shafts. CM cable is the cable used for communication applications like Ethernet. This cable has passed “vertical tray flame test”. 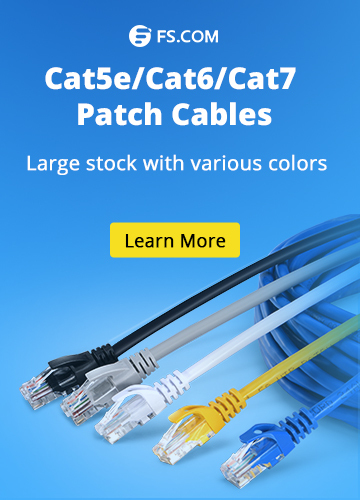 Typically, CM cable is applied for workstation cables and patch cords, connecting the network switches, servers, PoE devices and so on, but not for use across the floors or in air plenum spaces. Plenum and non-plenum cables are designed with different flame ratings for different applications as the figure shows. Plenum cables have the strictest flame ratings with higher cost, since they have a special coating on the wire. They are usually used in plenum spaces for preventing flame spreading and reduce the smoke amount. But during the installation, plenum cables tend to be a little more difficult to install because sometimes it may “kink” more readily. This cable type can be used in commercial and residential area or hospitals, since these areas are crowded that safety must come first. For non-plenum cables, the riser cables can be used in the risers of commercial buildings, with lower cost than the CMP cables. Note that, CMP cables also can be used in the vertical telecommunications infrastructure if one has enough budget, because there’s no telecommunication difference (such as noise, crimping, termination) between CMP and CMR cables. For example, plenum rated Cat6 and riser rated Cat6 perform the same in the data transmission. As for the CM cables, they are usually the common Ethernet patch cables, which is the lowest cost with easy installation. 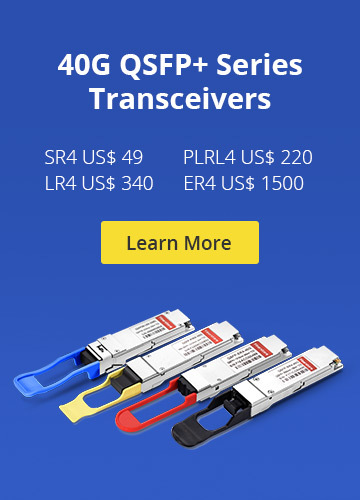 They are designed for general use, which is widely deployed to connect networking devices like servers, network switch, routers and so on. Therefore, customers need to choose plenum and non-plenum cable based on actual demand and budget. Where to Buy Plenum and Non-plenum Cables? Both plenum and non-plenum cables are available at FS. FS offers Cat6 plenum cable. This UTP bulk network cable uses solid Oxygen-free copper, which is rated for any 10/100/1000Base-T networks and meets PoE/PoE+ standards for PoE applications. FS also offers Cat5e/Cat6/Cat6a/Cat7 CMR bulk Ethernet cables that are available in UTP and STP. These Ethernet cables are designed with low resistance for better transmission performance. Plus, FS provides 24AWG and 28AWG copper cables. These network cables use PVC CM cable jacket while some other providers use PVC. This means FS Ethernet cables have better fire resistance, and can operate in the temperature from -20 to 60°C. All the common copper patch cables have passed the Fluke Channel Test to ensure superior transmission performance. All the plenum cable, riser cable and common Ethernet cables at FS adopt Oxygen-free copper design, which brings higher electric conductivity, and reduces signal loss. FS is the definitive choice for all your plenum cable and non-plenum cable need. Copper Network bulk network cable, CMP cable, CMR cable, Ethernet patch cable, network cable, non-plenum cable, plenum cable. permalink.